The Kashmiri Gate is one of the northern gates to enter what is now the area known as Old Delhi, which was formerly the city of Shahjahanabad constructed by the Mughal emperor Shan Jahan in the 17th century. The area in which the gate is located is a busy market. The area has some of the spots where the war of 1857 played out such as Nicholson’s Cemetery. The other attractions close-by include the Delhi Gate and the St James Church. 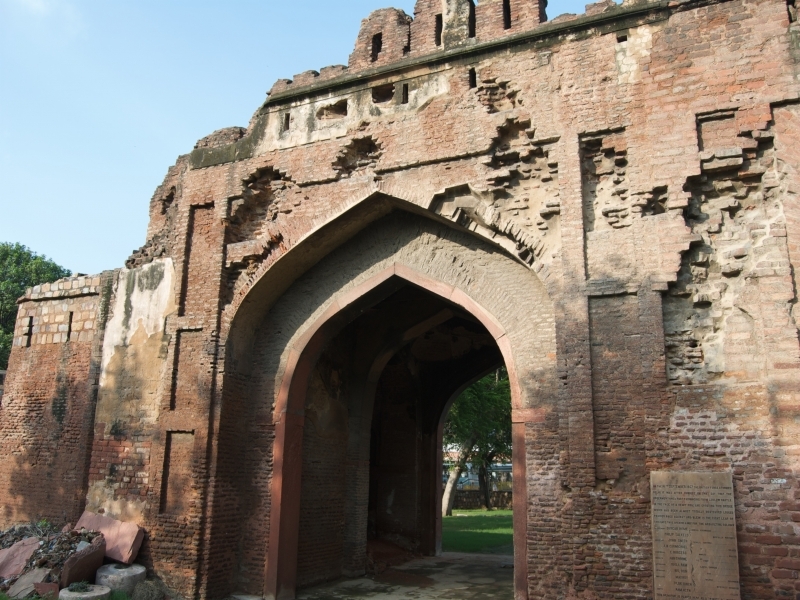 The Kashmiri Gate was erected by Major Robert Smith in 1835 and expanded into a double gateway in 1857 It was given this name as it was the gate of the road that went to Kashmir. The gate was blown up when the British recaptured Delhi during India’s First War of Independence of 1857. The Old Delhi Railway Station is also located in this area. There is also a Delhi Metro station at the Kashmiri Gate. Been to Kashmiri Gate ? Share your experiences!